Scrap Happy Ohio: La La La La La La La and more La La's! 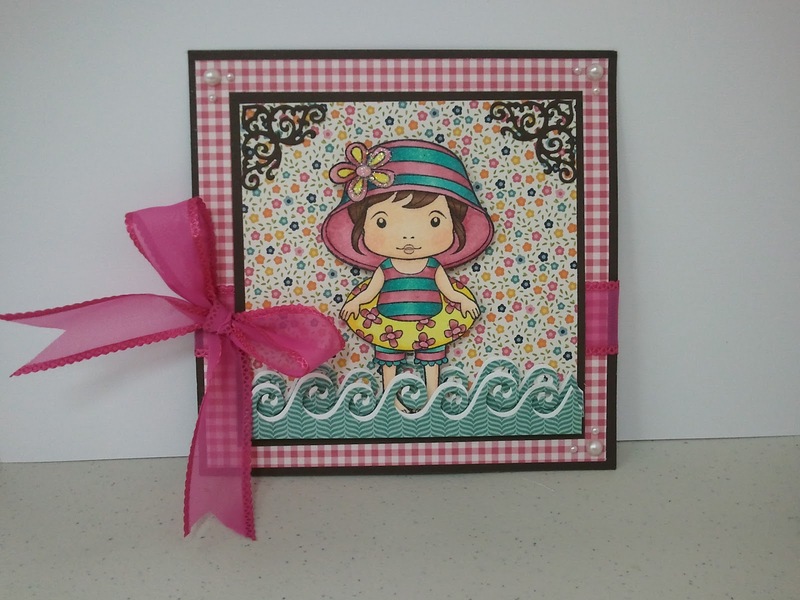 Another Baby Card with "Little Bo Peep"
La La La La La La La and more La La's! Echo Park Paper "Sweet Day"
Hello. Mary here. Today I have another Marci card from La La Land Crafts. Since I love the sun, sand and water I decided to do Beach Marci. The paper I used for this card is from Authentique. 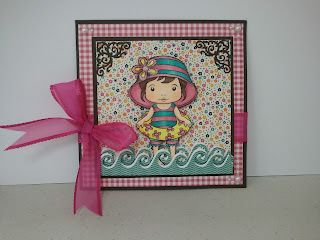 The dies are Wave Border die and Filigree corner die from La La Land Crafts. The card was colored with Copics. The ribbon can be found at Scrap Happy. Stickles used were Stardust. Hope you have a wonderful day. See you next time, maybe at the pool or beach. Keep smiling. an absolutely lovely and adorable summer-card! Mary this card is so cute. I love the papers you used and your coloring is Awesome.